Durable Packaging Plastic Dome Lid. Recyclable, convenient and disposable. Use with 9-inch square aluminum cake pan (model # 1100-30). 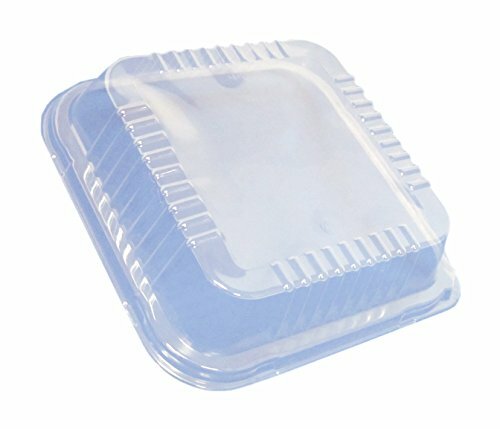 Perfect for take out containers, storing, and reheating. 1-1/2-inch deep. Made in the USA. If you have any questions about this product by Durable Packaging, contact us by completing and submitting the form below. If you are looking for a specif part number, please include it with your message.